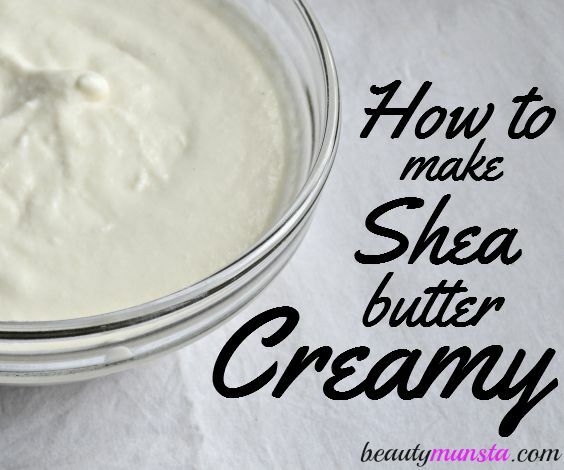 How to Make Shea Butter Creamy At Home - beautymunsta - free natural beauty hacks and more! Here’s a simple guide on how to make shea butter creamy using two methods: without hand mixer and with a hand mixer. 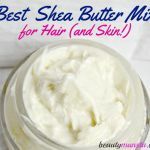 I’ve also linked many of my favorite creamy shea butter mixes for skin and hair. Learn how to make shea butter creamy using two methods: with and without a hand mixer. I added a hydrosol to make it extra smooth with an easily absorbable consistency. Essential Oils such as lavender essential oil, tea tree essential oil, vanilla essential oil, etc. 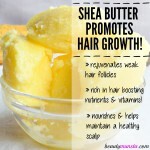 Check out the best essential oils for shea butter here. Hydrosols like rose water, orange blossom water, chamomile hydrosol, lavender hydrosol, etc. Place your raw shea butter in a wide heat safe bowl (you can also use a pyrex glass measuring cup) and place the bowl in a pan filled with a couple inches of water. Heat the pan on a low to medium flame. IMPORTANT: This is to just soften the shea butter and not to melt it! Once softened turn off the heat and let it cool down or about 2 minutes. By softened, I mean that you can easily mix it with a spoon. If you’re living in a warmer region or have purchased East shea butter (shea butter nilotica), then chances are your shea butter is already soft and doesn’t need to be softened with the double boiler method. Next, add the base oil/oils of your choice and start mixing it with a fork, strong spoon or whisk. Add the other optional ingredients such as aloe vera gel or raw honey and continue whisking for about 10 minutes till the mixture is well combined. Scrape down the sides with a plastic spatula as you go continue mixing. You can also add the hydrosol at this point but be sure to mix vigorously for at least 5 to 10 minutes for it to get fully incorporated. 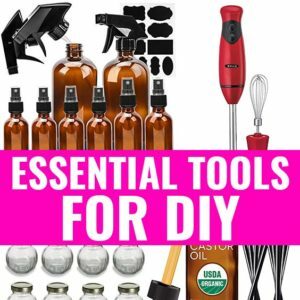 Finally, add the essential oils such as geranium, lavender and tea tree essential oils and whisk vigorously for about 3 minutes. 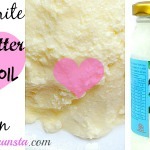 You will get a creamy soft shea butter mix for skin and hair! Transfer into a sterilized container and keep in a clean dry place. Method 2: Using a hand mixer/immersion blender. 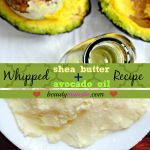 Melt down the shea butter using a double boiler or soften it. It depends on what you prefer, some people just soften the shea butter instead of melting it down. Add a few tbsp of hydrosol like rose hydrosol if you want to get the creamy shea butter as shown in the header picture above. Finally, add the essential oils drop by drop and mix again for 30 seconds. Voila! Your final mixture should be creamier and smooth in consistency! Transfer to a clean mason jar and get ready to slather it all over your body and hair! 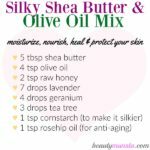 Other Shea Butter Mixes You’ll Love!